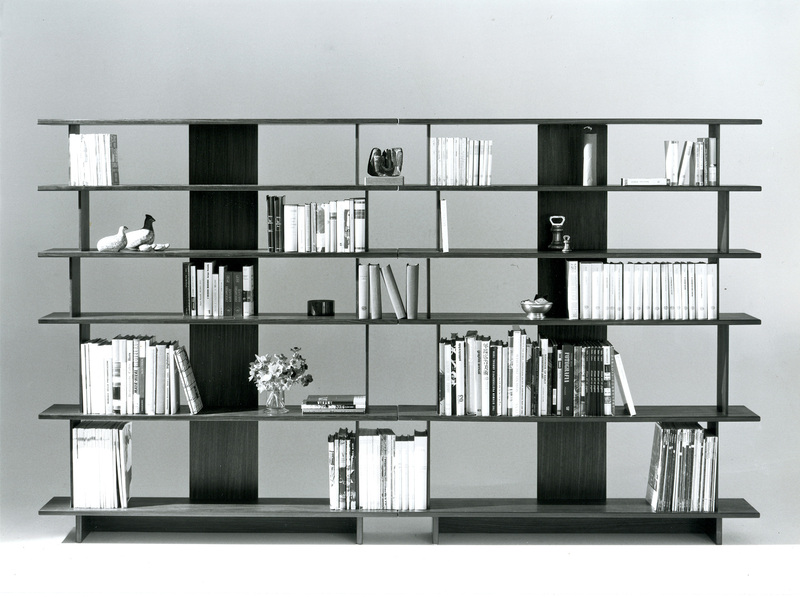 It is the first product designed by Carlo Bartoli. 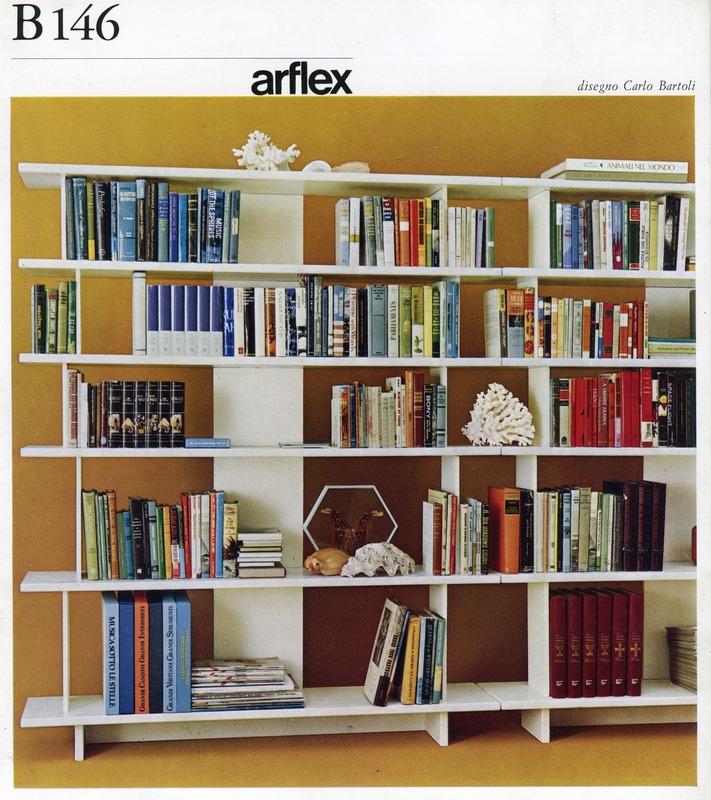 A bookcase devised for his own house, it proved to be so rational and valid both from the technical and aesthetic point of view, to become one of Alflex best sellers. 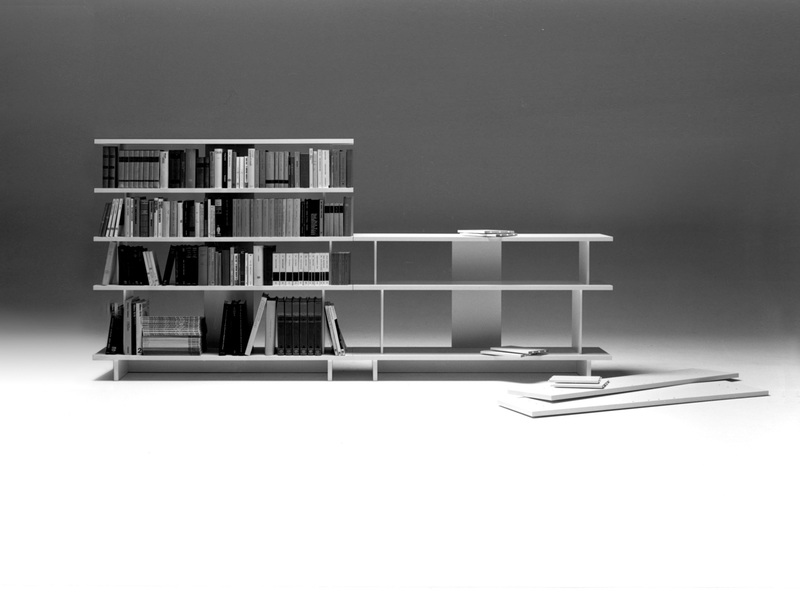 Reduced to its basics, the piece of furniture consists of a structural system of dry-fixed panels which use round pins. 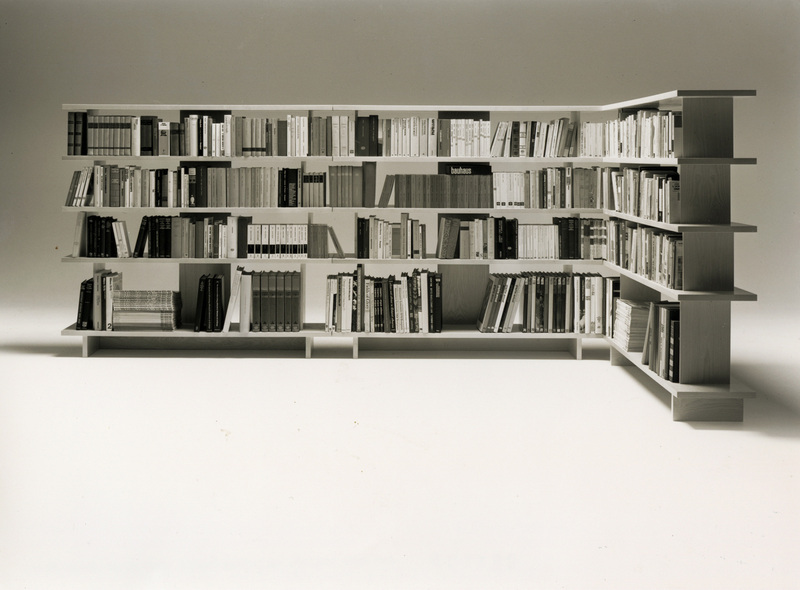 It is a constructional theorem: a series of shelves supported and connected by bars equipped with gudgeon pins; in its concept and image very close to the frame of a house in reinforced concrete but without curtain walls.